The journals of Meriwether Lewis and William Clark remain the single most important document in the history of American exploration. This compact volume of their journals, compiled by American Book Award nominee Landon Y. Jones, includes all of the most riveting tales of their adventure, in their own words. Here is a concise, breathtaking record of Lewis and Clark’s legendary journey to the Pacific, written by the two captains — under unspeakable stress and the threat of constant danger — with an immediacy that startles to this day. Through these tales of adventure we see the Great Plains, the Rocky Mountains, and western rivers the way Lewis and Clark first observed them — majestic, pristine, uncharted, and awe-inspiring. We are in the moccasins of Lewis and Clark as they witness other wonders no European-Americans had ever seen before: new creatures such as antelope, prairie dogs, and, most memorably, grizzly bears. Also included are the explorers’ encounters with Native Americans, featuring the amazing reunion between Sacagawea and her brother, a Shoshone chief who secured the expedition’s safe passage over the Continental Divide. Landon Jones has selected the most memorable journal entries left by Lewis and Clark, and then edited and annotated them for all readers — those steeped in lore of the expedition, and newcomers to this unforgettable journey. From this raw material springs every book ever written about Lewis and Clark. 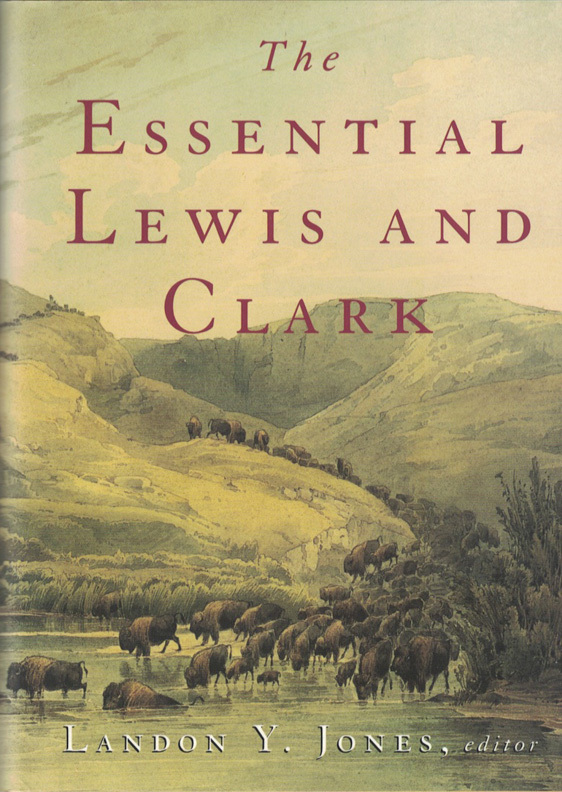 This entry was posted in Books, Lewis & Clark, The Essential Lewis and Clark on January 1, 2000 by Lanny Jones.